The increasing wave of uprisings across Africa and the Middle East this year have prompted the U.S. Government to start creating guidelines and the development of tools for culling intelligence from Twitter and other social networking sites. The use of such technology in the uprisings seen in Tunisia last December shocked some officials into paying more attention, according to DoHS Undersecretary Caryn Wagner in a report by Associated Press. It has prompted questions as to whether the government should be doing a better job of monitoring the activity of domestic social networking sites. "We're still trying to figure out how you use things like Twitter as a source," she said while speaking at the National Symposium in Colorado Springs on Monday. "How do you establish trends and how do you then capture that in an intelligence product?" The department is establishing guidelines on how to get such information from sites such as Twitter and Facebook for the purposes of law-enforcement. The new tools and protocols are to be developed using strict laws and are meant to prevent spying on U.S. citizens and protect their privacy, but many already frustrated citizens will likely feel this is yet another attack on their rights. Wagner further commented that the challenge was to develop a way of collecting and analyzing meaningful information that would provide law enforcement officials with valid intelligence. Another key aspect will be training hundreds of thousands of law enforcement officers across the country to best utilize the new tools. 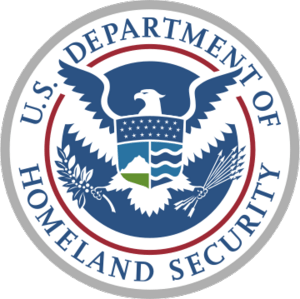 Currently, the Department of Homeland Security does not actively monitor any social networking sites. They just scour the "open source" of information available online when they receive information regarding potential threats to locate possible references in much the same way anyone can search the internet. The DoHS also recently released a bulletin warning those in charge of cyber-security of potential attacks by the online hacker collective, Anonymous.